“We must also cleanse our American soul of its white male privilege,” says Michael Moore. 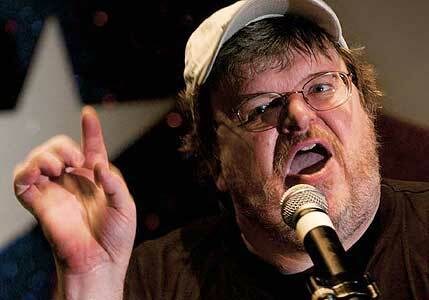 What Michael Moore really means is that America must cleanse itself of its white males, and of its other whites too. Michael Moore is an anti-white who supports White Genocide that’s being carried out in white countries world wide by massive third world immigration and forced assimilation. Japan doesn’t have to be cleansed of its “Japanese privilege,” nor China of its “Chinese privilege.” Anti-whites aren’t interested in cleansing Japan of Japanese, or China of Chinese. 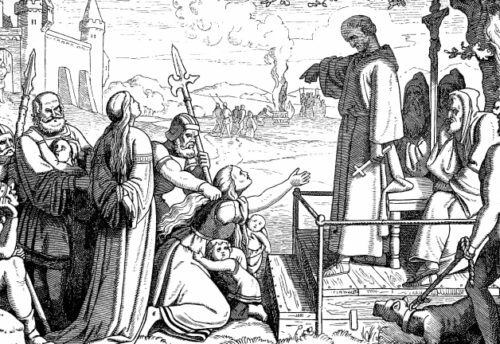 What anti-whites are interested in is making whites feel guilty and demoralized so whites won’t resist the cleansing of whites from white countries. That’s why anti-whites attack whites for their supposed “privilege” and for anything else they can dream up. When a non-white is hired over a better qualified white to enlarge the size of a firm’s non-white work force, where is the white privilege in that? I see non-white privilege. Free speech is supposed to be a right in this country, but actually it’s a privilege given with expansive liberality to blacks and other non-whites, and denied with strict enforcement to whites. In public meetings, blacks can make just about any racial statement with any amount of anger or arrogance they care to display, whereas whites must confine themselves to a strict and decorous liturgy of racial self-abasement that furthers White Genocide. White self-hatred is sick, but if you’re white and don’t display white self-hatred when required, you’ll be in serious trouble. There’s “white privilege” for you. 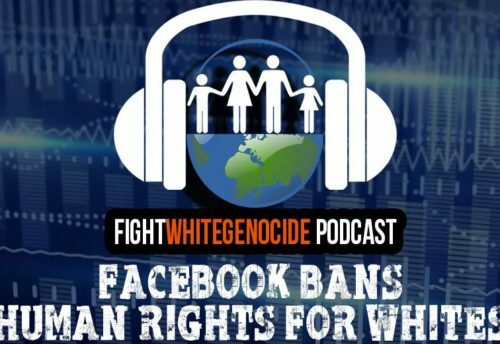 The right to, at best, remain silent in the face of non-white privilege, and to remain silent in the face of White Genocide. There’s black privilege, Chinese privilege, white privilege, Hispanic privilege, etc. — in multiracial America the races vie for privilege and each can succeed in establishing some circumstances in which it is either legally or de facto privileged. But which “privilege” is attacked as the one that’s real, and why? Only “white privilege,” because whites must be kept subdued for White Genocide to be carried out. “White privilege” is a code word for White Genocide. Here are some very fine repeater phrases for “white privilege” that time for freedom wrote to the same article on BUGS. “White privilege” is a term anti-whites hide behind to carry out White Genocide. EVERYONE, PLEASE TAKE THE PLEDGE. Rights cannot be taken away. Privileges can be taken. Anti-Whites don’t consider our existence to be a right. Anti-Whites consider our existence to be a privilege soon to be taken. The difference between “right” and “privilege” is a subtle distinction. I don’t believe anti-Whites chose the word randomly . The concept of White “privilege” was thoroughly thought out. The very concept of “privilege” – the idea that white people benefit from certain privileges in Western society, compared to non-whites living in the same social, political and economic environment – has a long and complex history in the United States. They call that a right. When you talk about White “Privilege” you’re planning White genocide. The title of this article could possibly be a useful repeater phrase. But unlike the great repeater phrases Bob Whitaker left us, it has the disadvantage of requiring explanation — it required this whole article to explain it. As a stand-alone repeater phrase, it may be just a little awkward. (Or maybe that’s just the way it strikes one at first exposure). 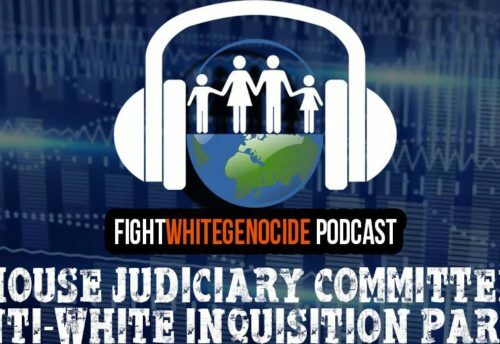 It does associate the term “White Genocide” with anti-whites’ hopefully soon-to-be-exhausted workhorse (or “prancing show horse”), “white privilege,” and so with enough repetition it might take some of the shine off that anti-white meme, or at least make use of it to spread our own meme. I’ll suggest this article be posted at BUGS so that BUGSers can take a look at it. 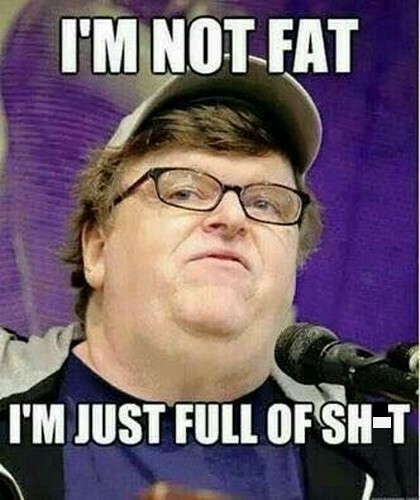 Michael Moore exercises his anti-white privilege to call for White Genocide, demonstrating that White self-hatred is SICK!! !